What began in a third grade classroom has since blossomed into an exciting tour business for our favorite docent, Parker Call. When Parker was teaching her young Wake County students about the community she became aware of the fact that there was no curriculum for her to use in the classroom. So she started her work with a little research, a few field trips and an enthusiasm for the city. As she began to write the programs she quickly realized that her passion to teach and explore the city could become a business too. After eleven years in the classroom, her new adventure, Historic Tours of Raleigh was launched. 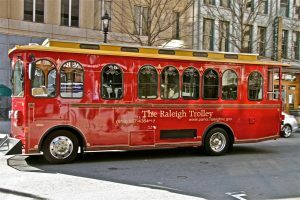 As Raleigh’s 1992 Bicentennial Celebration was being planned, with her knowledge and leadership, the Historic Raleigh Trolley tours were started. Today, over 10,000 people have toured “The City of Oaks” by trolley. Parker has delighted many visitors and long time residents with her stories about our mid-sized southern Capital City. She has been a docent at The Governor’s Mansion for over 18 years. She helped found the Raleigh City Museum and the Raleigh Hall of Fame. Her volunteer hours are too numerous to count! Walking tours and bus tours are her specialty today. 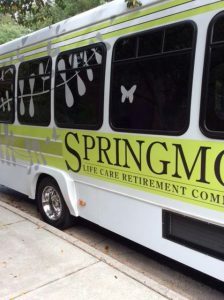 Whether it is a large retirement group or a small family, she can design a tour that is appropriate for any visitor. 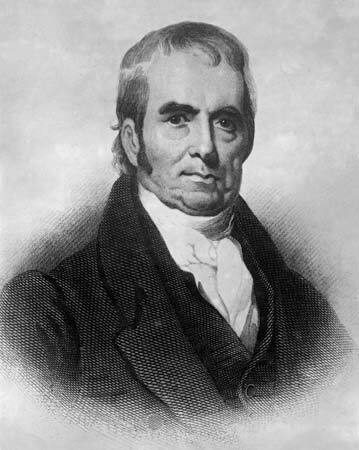 The tour this month is Famous Historical Visitors. The bus leaves Springmoor and picks up Parker along the way. She points the driver in the right direction and off they go! She will share stories about General Lafayette, Henry Clay and Chief Justice John Marshall to name a few. She will show our group the places they visited and the history behind their time in Raleigh. In March, she took the group on a March Madness Tour. If you know basketball, you know that life in The Triangle often revolves around the tournament brackets. With three large universities located with in a 25-mile radius, sporting events are one of the most popular Raleigh activities. 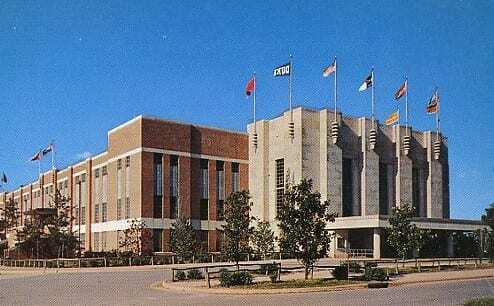 The tour group in March, not only saw the PNC arena where NC State Basketball is played, but they also saw Reynolds Coliseum where the first NC State game was played in 1949. The group was taken to many of NC State’s athletic fields. They heard the history behind the Lonnie Poole Golf Course, The Dail Softball Stadium, The Dail Soccer Field and Track Complex and even more stories of Doak Field where baseball games have been played since 1966. The Civil War Tour is one of her most popular tours. She loves to tell the stories that unfolded after Sherman led 60,000 Union Soldiers into Raleigh. At that time, there were only 4,000 residents living here. A day after the occupation, Abraham Lincoln was assassinated. The drama from this event brings with it many interesting tales. The Love Stories and Scandals Tour is perhaps Parker’s favorite trip. She says she has to “go back 100 years to be sure that no family member may be in one of her groups.” The scandals of Blount Street are numerous, from unsolved murders to illegitimate children, to love stories and broken hearts. She has a cemetery tour too. So if you are interested in ghosts, you will want to travel with her to hear these fun facts!